In January of 2015, ACS Publications launched two new journals to advance research and further the conversation in the high-growth fields of biomaterials and infectious diseases. ACS Biomaterials Science & Engineering is a flagship journal for high-quality, innovative research at the interface of biology, materials science and engineering. By drawing from both the science and engineering perspectives, the journal showcases leading research that is helping to catalyze and grow this rapidly expanding field. ACS Infectious Diseases has filled a gap in the publishing industry for researchers who are focused on the integration of chemistry and infectious diseases. The need for this venue is pressing. Every year, infectious diseases are responsible for about one-third of all deaths — roughly 3.5 million people — according to the World Health Organization. The journals are filling critical niches in the ACS Publications portfolio. A year after their launch, both publications can look back on a year of success, with much promise ahead. The launch of ACS Biomaterials Science & Engineering couldn’t have been timelier; the global market for biomaterials is expected to reach $88 billion within the next three years. It’s no surprise, then, that interest was strong from the start. Submissions outpaced expectations for 2015, and the journal has already received more submissions than anticipated for the coming year. With every issue of this online-only journal, authors are gaining a greater understanding of the journal’s standards and scope, according to Managing Editor Paulomi Majumder, Ph.D. Even so, defining the journal remains a continuous process, which can be expected in a field that is growing at such a fast clip. 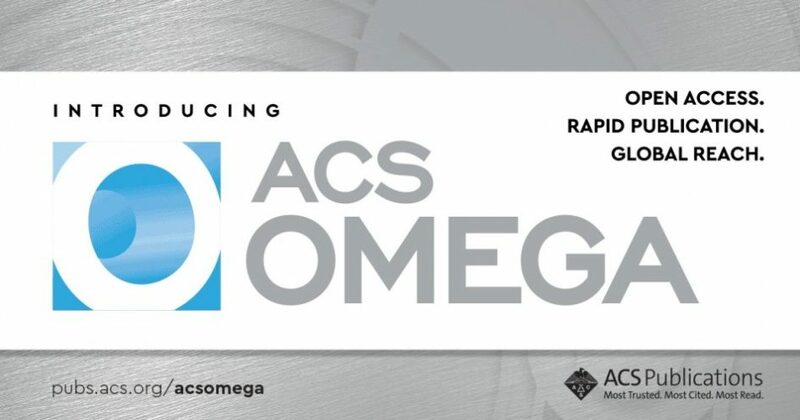 Recognizing that speed to publish is a key driver in this applications-heavy field, ACS Biomaterials Science & Engineering was launched with a commitment to offer a rapid response for authors. The journal’s staff has worked hard to balance this demand with the high quality, rigorous review process that is a standard for all ACS Publications journals. Their efforts are paying off as a differentiator over competing journals. The journal’s staff is actively participating in author outreach by attending conferences and meetings, conducting email campaigns and maintaining open contact with readership. At every step, they are working to educate the community that the journal covers a broad scope of biomaterials research, and that papers are reviewed by some of the most top-notch active researchers in the field. In September, the journal will hold its first editorial advisory board meeting to review areas of improvement and strengths to build on. And in the coming year, readers can look forward to targeted, thematic issues on emerging and hot topics of interest in the field. Before the launch of ACS Infectious Diseases, there were few appropriate choices for publishing research on the chemistry of infectious diseases. ACS Infectious Diseases is changing this dynamic, serving as a forum for researchers in widely dispersed disciplines who are united in their focus on infectious disease research. In the first year alone, the journal has attracted and published submissions from chemists, medicinal chemists, microbiologists, parasitologists and virobiologists. Topics published in 2015 have included biochemistry and drug development for tuberculosis, drug discovery for the Ebola virus, molecular mechanisms of drug resistance for malaria and the development of biofilm agents. As with ACS Biomaterials Science & Engineering, the ACS Infectious Diseases editorial team has focused intently on author outreach and education. The editorial board’s diversity, both in terms of specialty and geographic location, has also enhanced organic efforts to reach out to key audiences. The editorial team will also hold its first editorial advisory board meeting in September. For 2016, the journal aims to establish a presence on PubMed to become more accessible to the medical community as a whole. Special issues are also planned for the fall, and ACS Infectious Diseases will partner with other ACS journals for special issues in 2016. “In the coming year, we hope to expand our reach and highlight additional areas where chemistry is making a substantial contribution to the field,” says Aldrich.